Mattie Kenny faces an anxious next 48 hours with a host of his Dublin squad involved in the second round of Fitzgibbon Cup fixtures in close proximity to his first league outing as Dublin manager. Dublin begin their HL1B campaign against Carlow in Parnell Park on Saturday (7.0) and Kenny's maiden league selection could yet be complicated by the round of college fixtures that sees three of the Dublin-based Fitzgibbon Cup colleges in action either today or tomorrow. Kenny revealed recently that 24 of his expanded training panel are members of Fitzgibbon Cup squads. UCD take on UCC today at the Mardyke with Jake Malone, Ronan Hayes, Paul Crummey and Cian McGabhann all starting for the college in their draw (3-12 to 1-18) with NUI Galway last Sunday at David Billings Park in Belfield. Tomorrow, just two days out from the Carlow game, both DCU and Trinity College will play their respective Group C and Group B games. Last year's beaten finalists, DCU, meet CIT at the DCU Sportsgrounds at 5.0, with Paddy Smyth, Eoghan O'Donnell, Chris Crummey, Fintan McGibb, Donal Burke and Feargal Whitely all part of their starting 15 in their two-point opening-round victory over Waterford IT on Sunday. Rian McBride, Conor Burke and Daire Gray saw action off the bench. On the same day, Trinity College Dublin recorded a historic first Fitzgibbon Cup victory against Garda College in Borrisoleigh, with Fionn Ó Riain Broin and Cian O'Sullivan collectively contributing 0-14 of their 1-15 tally. They play IT Carlow at Santry Avenue tomorrow (7.0) while Garda College travel to LIT in the other match in Group B, where Shane Barrett, a regular in Mattie Kenny's Walsh Cup team selections, is again set to feature for Garda College. There is however, some respite for Dublin's sizeable DIT contingent. Having gone down by five points to Mary I in their first Group D game, DIT - who are managed by legendary Kilkenny pair, David Herity and JJ Delaney - are not in action again until next Thursday, January 31, when they play Maynooth University. Against Mary I, Eamonn Dillon, Glenn Whelan, Conor Ryan, Darren Kelly and Davy Keogh all played while Jonathan Treacy was preferred in goals to Seán Brennan, both of whom have been part of Kenny's winter training squad. Kenny faces a similar problem next week, with DCU, DIT and Trinity scheduled to play either on Wednesday, January 30 or Thursday 31 ahead of Dublin's trip to Tullamore to play Offaly in their second Division 1B game. The scheduling of the Fitzgibbon Cup in such a congested league programme has been the source of major annoyance for inter-county managers this year. 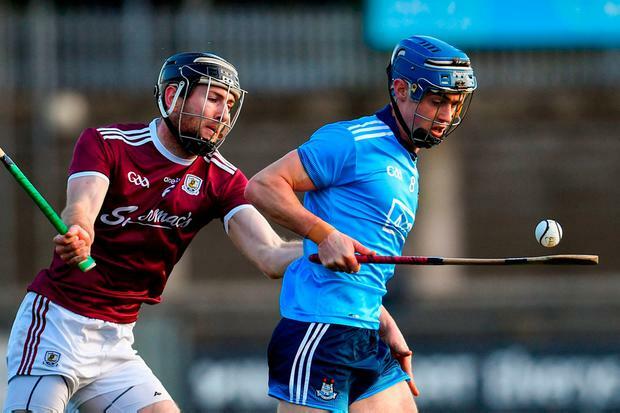 Last year, Eoghan O'Donnell played two matches in 24 hours when he lined out for Dublin against Galway in the League the day after the Fitzgibbon Cup final. "The planners, this scheduling that the GAA is talking about is gone horribly wrong again," observed Kenny after Dublin's recent Walsh Cup semi-final loss to Galway. "We have to manage that the week after next and try to get a team on the pitch against Carlow." Brian Cody meanwhile, described the scheduling as "really, really, really madness from a fixture point of view.How there is not some kind of communication, whatever way you want to put it, between the people making the fixtures, it's madness," he reitered. Waterford's new manager Pádraic Fanning was another critic, insisting recently he "can't understand why there's no Fitzgibbon games played," earlier in the month. "I don't understand how they came up with the fixtures schedule. Anybody who talks about burnout is talking out both sides of their mouth on it because you can't justify it. "It's not fair on the players, it's not fair on the colleges and it's not fair on county teams getting ready for the National League when people are expecting them to be able to perform." Meanwhile, Kenny also has a number of injury issues to factor into his thoughts before selecting his team against Carlow. Conal Keaney underwent shoulder surgery in December and is not expected back in training until late March. Cian Boland's recent injury misfortune continued when he suffered a serious hamstring problem in O'Moore Park against Laois in Dublin's final Walsh Cup group match on January 6 and will not be available for the initial rounds of the league. Mark Schutte, who rejoined the hurling panel this year after two seasons with the Dublin footballers, is also likely to miss the early rounds of the competition as he recovers from a foot injury although both Danny Sutcliffe and David Treacy have resumed training recently after their own respective knocks. John Hetherton meanwhile, will serve a one-game suspension this Saturday after his sending off against Galway in the Walsh Cup semi-final.